This dish was cooked to perfection. The salmon was delicious and was accompanied by capsicum and a salsa verde. 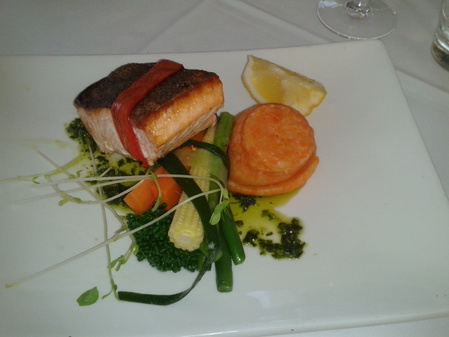 The salmon was also served with a medley of vegetables. I wanted to savour every moment of the mouth watering salmon, and the salsa verde was the perfect addition to the meal.